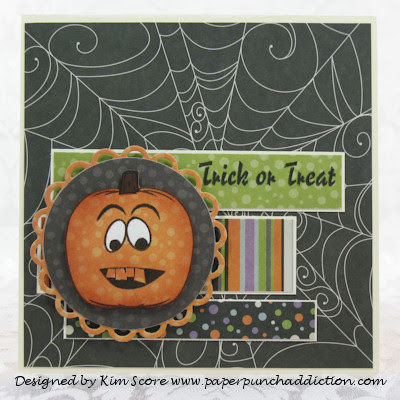 I couldn't resist making one more card using the Inspired by Stamping Pumpkin Faces stamp set. The faces are so goofy and cute! For the greeting, I used the Peachy Keen Smell My Feet stamp set. Too, too cute...made me giggle!